Many cats could probably make it on their own; I, on the other hand, have raised two princesses. Cats have survived in barnyards and back alleys throughout history. These animals clearly know how to make the most of very little. Many cats can thrive in the face of adversity, and can fend for themselves during the leanest of times. My girls are not those kind of cats. I am not ashamed to say that I have raised two princesses. Ghost Cat and Specter are material girls who love their stuff, and if they were ever forced to survive outside of house I don’t know if they would be able to make it without their prized possessions. 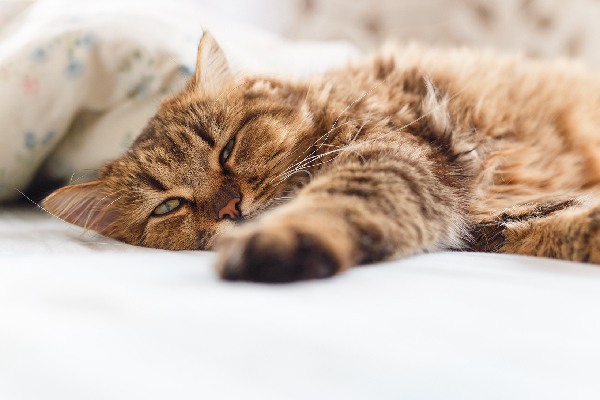 Here’s five things that my cats can’t live without. This little mechanical fish is a new addition to our household, but it quickly swam to the top of the toy hierarchy. The aquabot was purchased on the advice of a local rescue expert I interviewed for a Catster piece about environmental enrichment for cats. On the first anniversary of Ghost Cat’s "Gotcha Day," I went down to Toys R Us and bought one for Ghosty. It’s turned out to be as much of a gift for Specter as it is for Ghost Cat, as they both become absolutely mesmerized by this little robot fish. The aquabot automatically switches off after five minutes of swim time, but Specter has learned how to turn the fish back so the fun never has to end. Before the fish came into our lives, Specter’s favorite toy was one of Ghost Cat’s hand-me-downs. It’s a pink, purple, and blue Y-shaped stuffed toy that used to have feathers sticking out of it, but Ghost Cat made short work of those. She also did away with the elastic string and the plastic stick that used to be fastened to the toy to facilitate human interaction. Now all that’s left is a stumpy little soft toy, but it is Specter’s favorite soft toy in the whole world. She loves her stuffie and doesn’t need a human to make it dance on the end of a string — she does it herself by throwing it up in the air with her front paws. The other day the dog decided that Specter’s stuffie looked like fun. What resulted was a living room standoff involving the saddest kitten eyes I’ve ever seen. Because these two want to eat breakfast long before I want to be awake, the auto feeder is an absolute necessity to keep Ghost Cat and Specter (and me and my husband) happy. Little Speck didn’t quite know what to make of it at first, but she quickly caught on. No matter where the cats are in the house, when they hear the kibble drop into that plastic dish they come running. While the automatic feeder provides a dry feeding, my kitties have made it clear that they really do prefer wet. They get their soft snacks every day at lunch and sometimes at bedtime. As soon as I sing the wet food song the girls come running downstairs to circle my feet in excitement. Ghost Cat is the patient one, sitting pretty while Specter squeals like a fire engine. I don’t think I could ever switch these girls to a 100 percent dry diet — they would probably riot. If you took away all the toys, the high-tech breakfast dispenser, and even their favorite wet food, Ghost Cat and Specter would probably be okay as long as they still had each other. These two are bonded like super glue in a way I never expected, but watching them love each other brings joy to my heart every day. I hate to think about what would would become of one if something happened to the other — they would both be lost if they were separated. That’s why I will always keep them together in a home stocked with plenty of wet food and mechanical fish. 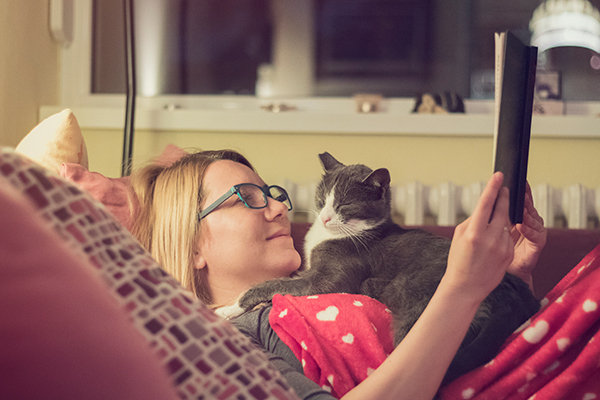 What do your cats love more than anything? Does a favorite food trump a treasured toy? 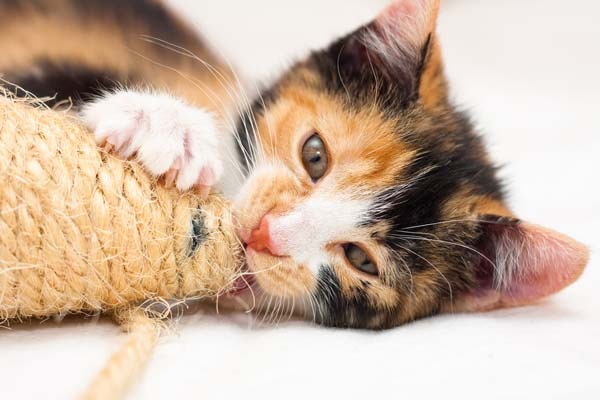 Is Your Cat Obsessed with a Favorite Toy or Plaything? 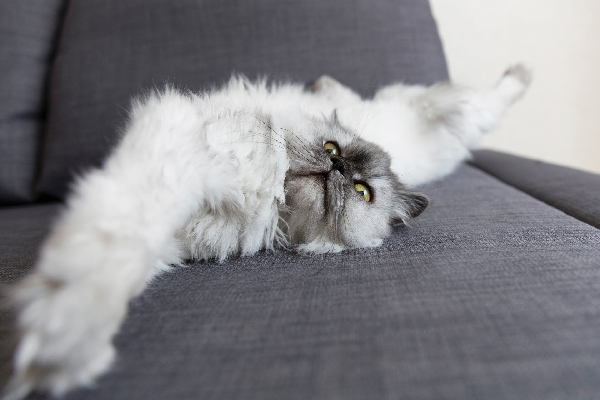 What Is Your Cat’s Favorite Toy?